Dr. Schmertmann's current research includes developing new estimation methods for demographic rates in small areas with sparse data, forecasting cohort fertility and childlessness, applying epidemiological stastistics to demography, measuring the fertility of US immigrants, and investigating immigration's effects on national age structures. 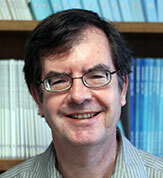 He currently serves as Editor of Demographic Research. Assistant to Full Professor, Department of Economics, and Research Associate, Center for the Study of Demography and Population Health, Florida State University. August 1990 - present. Visiting Assistant Professor, Departments of Demography and Economics, University of California, Berkeley. January-June 1993. Visiting Professor of Economics, Center for Regional Development and Planning (CEDEPLAR), Universidade Federal de Minas Gerais, Belo Horizonte, Brazil. 1989-1990. Assistant Analyst, Congressional Budget Office, Human Resources and Community Development Division, Washington, DC. 1981-1983. Ph.D. in Economics, University of California, Berkeley, December 1988. B.S. in Economics, University of Wisconsin-Madison, May 1981. CP Schmertmann, E Zagheni, J Goldstein and M Myrskylä. "Bayesian Forecasting of Cohort Fertility". Journal of the American Statistical Association 109(506):500-513. 2014. CP Schmertmann. "Stationary Populations with Below-Replacement Fertility". Demographic Research Vol 26-14. 2012. CP Schmertmann, RM Assunção, and JE Potter "Knox meets Cox: Adapting Epidemiological Space-Time Statistics to Demographic Studies". Demography 47(3):629-650. 2010. JE Potter, CP Schmertmann, RM Assunção & SM Cavenaghi, "Mapping the Timing, Pace, and Scale of the Fertility Transition in Brazil". Population and Development Review 36(2):283-307. 2010. CP Schmertmann, JE Potter, and SM Cavenaghi, "Exploratory Analysis of Spatial Patterns in Brazil’s Fertility Transition". Population Research and Policy Review27(1):1-15. 2008. JE Potter, CP Schmertmann, and SM Cavenaghi, "Fertility and Development: Evidence from Brazil". Demography 39(4):739-761. 2002. CP Schmertmann, "A Simple Method for Estimating Age-Specific Rates from Sequential Cross-Sections", Demography 39(2):287-310. 2002. CP Schmertmann, "Fertility Estimation from Open Birth Interval Data", Demography 36(4):505-519. 1999. CP Schmertmann, "Estimating Multistate Transition Hazards from Last-Move Data", Journal of the American Statistical Association, 94 (445):53-63. 1999. CP Schmertmann, AA Amankwaa, and RD Long, "Three Strikes and You're Out: Demographic Analysis of Mandatory Prison Sentencing", Demography 35(4):445-463. 1998. CP Schmertmann, "Selectivity Bias Correction Methods in Polychotomous Sample Selection Models," Journal of EconometricsÂ 60:101-132. January-February 1994. CP Schmertmann, "Immigrants' Ages and the Structure of Stationary Populations with Below-Replacement Fertility", DemographyÂ 29(4):595-612. November 1992. Co-Principal Investigator (with JE Potter, Univ. of Texas): "Fertility Transition in Brazil 1960-2000". NIH Grant R01 HD041528. 9 Jul 2002-8 Jul 2005. (Total direct costs: $540,000). Co-Principal Investigator (with CG Swicegood, Univ. of Illinois, and FD Bean, Univ. of Calif.-Irvine): "Immigration and Changes in US Fertility". NIH Grant R01 HD38791. 1 Jun 2001- 31 May 2004. (Total direct costs: $600,000). Co-Principal Investigator (with Monica Boyd, FSU): "Post-Immigration Mobility of the Foreign-Born Elderly". NIA Grant R03 AG14509. 30 Sep 1997- 31 Dec 1998. (Total direct costs: $40,000). US Census Bureau Contract: "Analysis of 1996 American Community Survey Test Data for Brevard County, FL". 1999. ($10,000).